November is "Power House" Month! 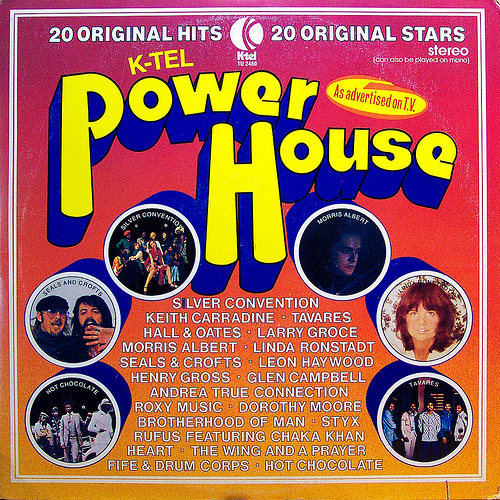 This month on Adventures in Vinyl, we are going back to 1976 for the K-Tel classic, Power House. This is a great album, eclectic and odd---just as you would expect from K-Tel. The variety on this album is pretty impressive. From some early disco hits by Silver Convention and Andrea True Connection, to Heart and Styx, to Glen Campbell and Seals and Crofts, Roxy Music to Hall & Oates. Actor Keith Carradine also makes an appearance with his hit song, "I'm Easy" from the film Nashville. As they say in the commercial: "20 Original Hits, Original stars!" Fifteen of the songs on this album made the Billboard Year End Chart for either 1976 or 1975. Join us this month for K-Tel's Power House. As usual, we'll play the album in its entirety. Plus, visit some of the events of 1976, review the music and movies as well. 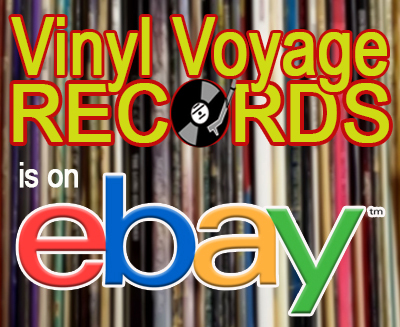 Adventures in Vinyl, the only radio show dedicated to the lost art of the K-Tel record compilation. Times: Saturday, 11 am (CT); Sunday, 4 pm (CT); Tuesday 1 pm (CT) Thursday 10 am (CT) and Wednesday 2 am (CT). 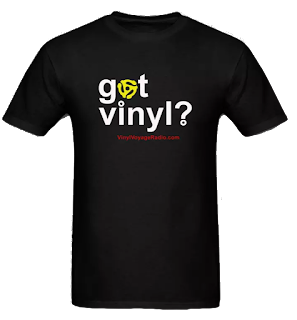 Don't forget, if you can't hear Adventures in Vinyl at any of these times, just let us know when you would like to hear it and we'll play it for you them.